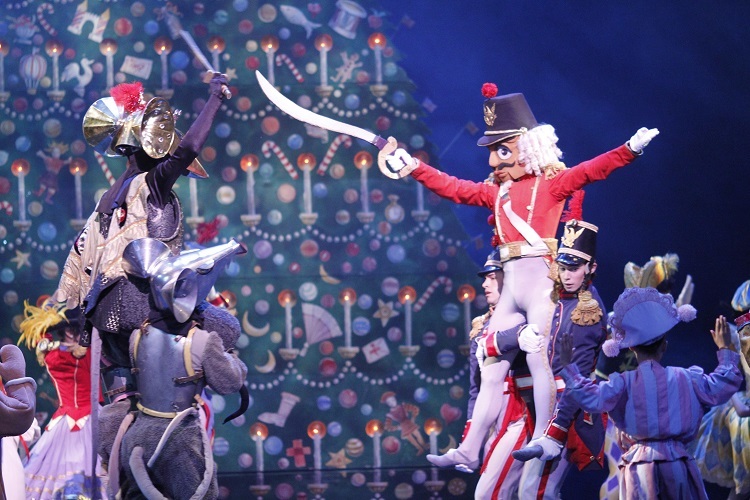 Bring the family to the FREE Chicago Dance-Along Nutcracker on December 2, 2018, a fun family interactive free holiday event with sugar-plum fairies and toy soldiers of all ages presented by the Chicago Department of Cultural Affairs and Special Events at the Chicago Cultural Center, across from Millennium Park. There’s always something going on at this 1897 neoclassical former library, which has two spectacular stained-glass domes and is known as The People’s Palace. Audience members, young and old, are encouraged to dress in their finest tutus and hit the dance floor alongside professional dancers. Sugarplum fairies and mouse kings of all ages and abilities are invited to point their toes to the familiar music of Tchaikovsky’s holiday classic with Ballet Chicago at this FREE event. 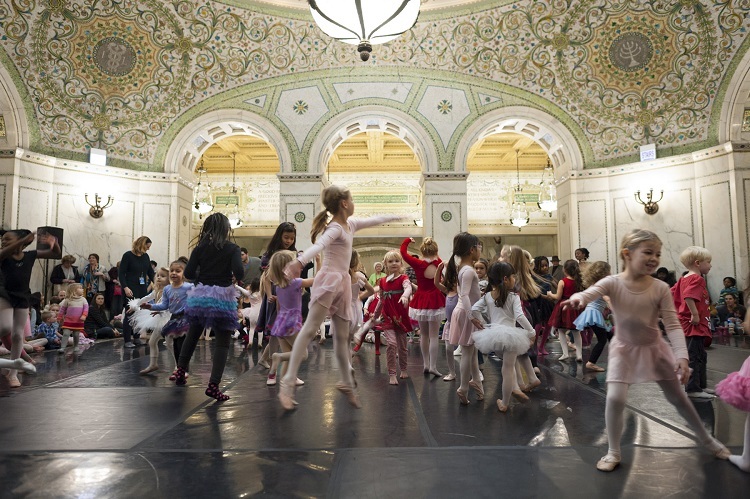 11am and 2pm: Members of Ballet Chicago will teach basic ballet positions and movements at an optional lesson. Noon and 3pm: Dancers of all ages and abilities are invited to join the dancers of Ballet Chicago, an internationally recognized professional track school of ballet that strives to make classical ballet training accessible to all. Music for the Dance-Along Nutcracker® is provided by the Lakeside Pride Symphonic Band.